This is me. For better or for worse. It's interesting, because you would THINK that even among the current powerlifting scene, where women are being welcomed more and more, where the fashion-model body type is not the predominant aesthetic, where it should be more about your numbers than anything else, I do not feel empowered. 1) Lower body weight is still rewarded more. It's built into the sport--if you can lift the same weight at a lower body weight as someone else, your Wilks score is higher. I'm not saying these women don't deserve accolades or attention; I'm just saying that this is a fact, that even in this sport, as a woman, weighing more is a lot less "impressive." I'm a super heavyweight lifter, meaning that I weigh above 198 pounds. And I'm no slouch either, with regards to my numbers, but I'm never going to be as "successful" as someone who weighs less than me and has generally similar numbers. That's just a fact of this sport. It's why people starve and dehydrate themselves and sauna themselves to move down a weight class for competitions. I don't know who this is--I just searched up fitspo on Pinterest. My apologies to the owner of this photo. 2) Certain body types are still prioritized over others, even in this community. 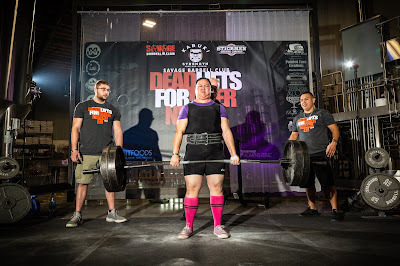 It's true that powerlifting celebrates "thick" bodies, but if you're not the "right" kind of thick, pictured left, then you might as well be invisible. (I'm THICK, alright. I'm 44 inches around, up and down. I'm not an hourglass, I'm a CEMENT PILLAR.) Unless you're one of the aforementioned smaller-but-stronger women, some of the most popular lifters I'm seeing on Instagram are women who look like this photo and love to take booty pictures. And I don't think there's anything wrong with booty pictures, but people-being-popular-because-they're-hot is the sort of thing I was hoping to get away from. So big whoop, right? 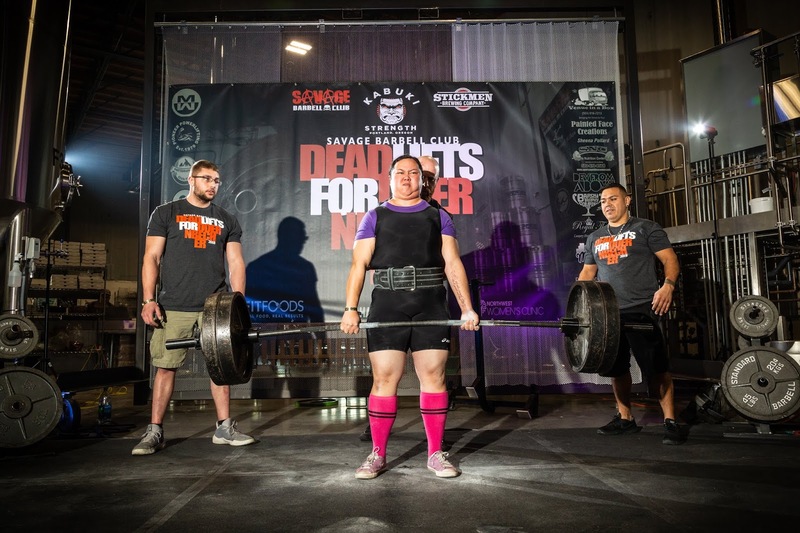 Powerlifting, just like any sport, any hobby, any THING ever, loves beautiful women, and the beautiful women in this sport are still women who are--surprise, surprise!--slimmer, even if they're allowed to have a little more thigh and booty in this sport. In other news, the sky is blue, and water is wet. Until then, I will just be... here. Doing my thing. Ultimately, the great, wide world (especially on the Internet) does not matter more than my own personal circle does, and no one's opinion of me should matter more than my own opinion of myself. But I gotta say, these feelings and issues never seem to go away. Ain’t that the truth. Me, even after everything I’ve been through, was tempted to do a whole30 with the rest of the world, just so I could feel acceptable or something. Luckily, stomach flu intervened. Anyway, you’re not alone. Until the narrative changes worldwide, this cycle is just something we have to live with and give ourselves lots of self care for. Thank you...thank you....You put into words what I could not. It is true in my primary sport as well and it does fell like I was sold something that wasn't true.